Darby O'Rielly is not your typical girl next door. She and her sister are ancestral witches, but have never been taught the art of their craft in an attempt to have the girls 'fit in' to their tiny community. When a dark stranger and his brother enter her life, love blooms and havoc ensues. For these two handsome brothers aren't just good looking, they are 'born vampires' of royal blood and they have hunters hot on their trail. When a Van Helsing wanna-be arrives and threatens Devon and Blake's immortal lives, Darby unleashes a deadly magic in order to save them. As vengeance for killing his hunter, our villain kidnaps, Rowan, Darby's sister and injects her with werewolf blood. Darby, Devon and Blake take a redeye to Maine to try and save her. A search then ensues to find a werewolf named Dean who isn't exceptionally friendly or eager to help friends of vampires. 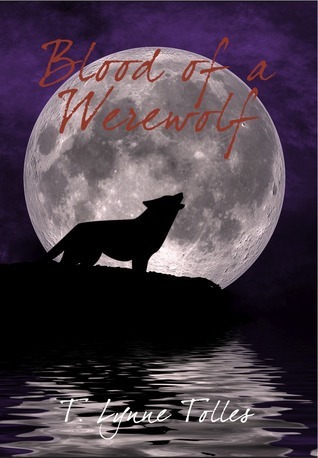 Will Rowan survive her transformation or will the werewolf blood wreak havoc on her body and kill her. You'll find out when you read this action packed urban fantasy romance novel yourself. P.S. This will be one of the books that I'll be giving away during the New Year's Reading Resolution!